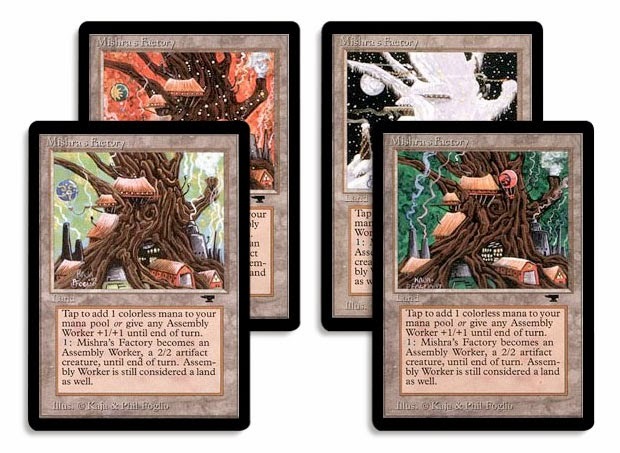 Apart from the basic lands in alpha/beta, Antiquities was the first set with different versions of the same card. One could argue that the misprints in Alpha (like Cyclopean Tomb) got a new version in Beta, or that the cards in Arabian Nights that got updated mana symbols (like Oubliette) technically exists in different versions, but Antiquities was the first set where this was consciously done by using different art. Having cards with different art became popular in the mid 90s, and it could be seen extensively in Fallen Empires, Homelands and Alliances. Nowadays alternative art is almost exclusively used in special products, like "From the Vault"-supplements or Duel Decks. I think that the last time we saw multiple versions of the same card in a normal set was during Kamigawa (with Brothers Yamazaki). Dexterity cards are pretty funny. 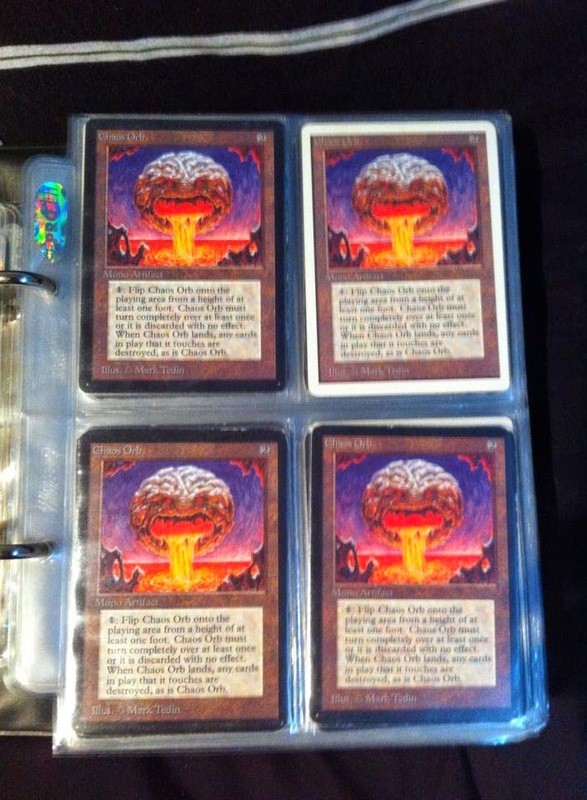 I think that one of the things that makes 93/94 feel like a friendly format even with the intimidating costs of some decks is that the Chaos Orbs are flipped without hesitation. I've seen guys successfully managing overhead flips with the Orb, people who have completely missed the table, and I've personally been thwarted by a rotating fan to lose a match. It's not a card for everyone, but those who play it really enjoy it. When Kalle and I first started playing some durdly games with Alpha Sea Serpents in 2007, none of us expected to compete in 40+ player tournaments in 93/94 in the future. I took a lot of passionate people and a few years, but here we are. Kalle and his most recent deck performed really well at n00bcon 6. How well you ask? He had a family engagement during the evening, and only had time to play five rounds. In round 6, he sat down and then quickly scooped. With that intentional scoop, he still finished 6th in the standings. As he didn't have time to play the elimination rounds, the 9th player in the standings took his place in the top8. 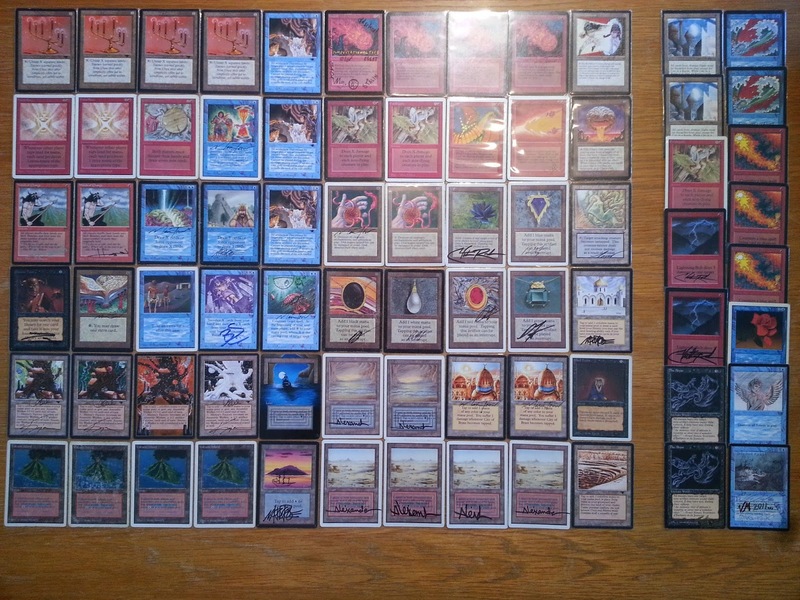 Viktor "Oldschool" Peterson has created quite a few odd decks in his years of playing 93/94. He won n00bcon 3 with a deck that used All Hallow's Eve to reanimate Colossus of Sardia, and he came second last BSK with a strange combo deck using Dark Heart of the Woods and 4-off Winds of Change. Other notable decks include a deck that relied on Field of Dreams, a Lich deck and the Drop of Honey / Living Plane deck. 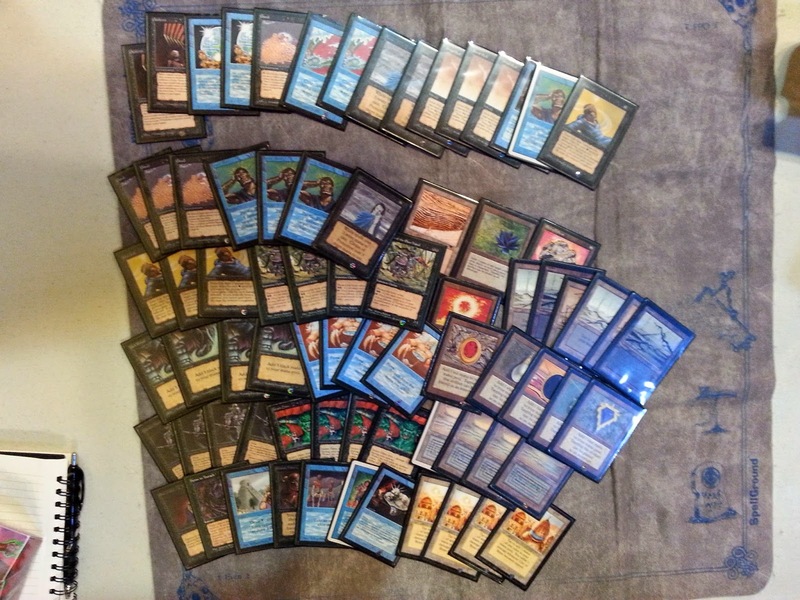 His deck for last n00bcon is one of his sweetest yet though. Viktor first played The Dragon at Pimpvitational 12/13, and wrote a report about it for this blog. He used a slightly modified version during Kingvitational 1, which he played 4-0 in the swiss; eventually losing to n00bcon 6 top8 player (and more recently Bazaar of Moxen Vintage top8 player) Mikael "Åland" Johansson. After some additional tweaks, Viktor created a third version for n00bcon 6. Anyone who have traveled to Oslo with a car should be familiar with the mule paths they use as roads. For a city that is one of the wealthiest in the world, Oslo really don't spend any of their money on traffic planning. Being stuck in a bus during rush hour for over an hour, a lot of things comes to mind. A few of them are 93/94 related. Here are 10 of them. 1. 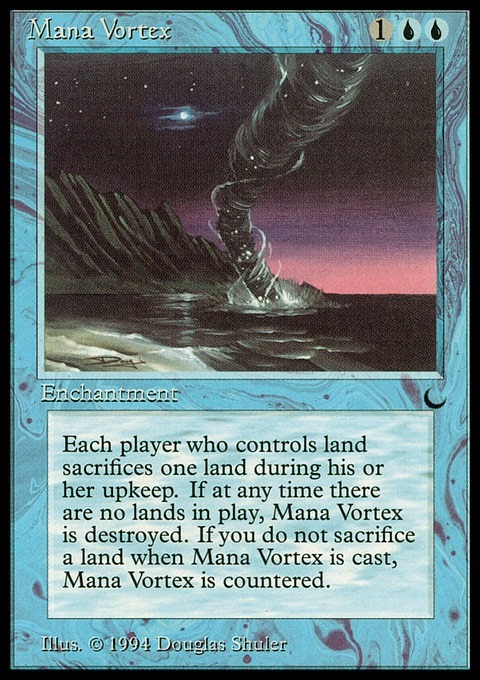 When will someone manage to build the Mana Vortex deck? It must be possible somehow. Suicide Black! A tournament report from Eudemonia. Last weekend I got my hands on The Duelist #1, and I intended to write a post about that magazine. It has been a hectic week though, so I'll save that one for a little later, and instead get to present Heiner Litz tournament report from Eudemonia two weeks ago :) Thanks a lot Heiner! Steven goes first with Tundra. I play land, rit, Specter who goes farming immediately, second turn I drop Strip Mine, rit, Juzam. Steven plays some more land Juzam attacks for five. Steven drops Moat which is pretty much game although I have Gloom next turn. Would I have stripped his tundra to deny him the second white, gloom would have come down shutting of Moat which probably would have won me the game as I followed up the Djinn with 2 Pumpknights. Steve gets his draw engine going and that's game.